At Shift Workspaces, how we make our members feel is a philosophy our team carries with them every day. 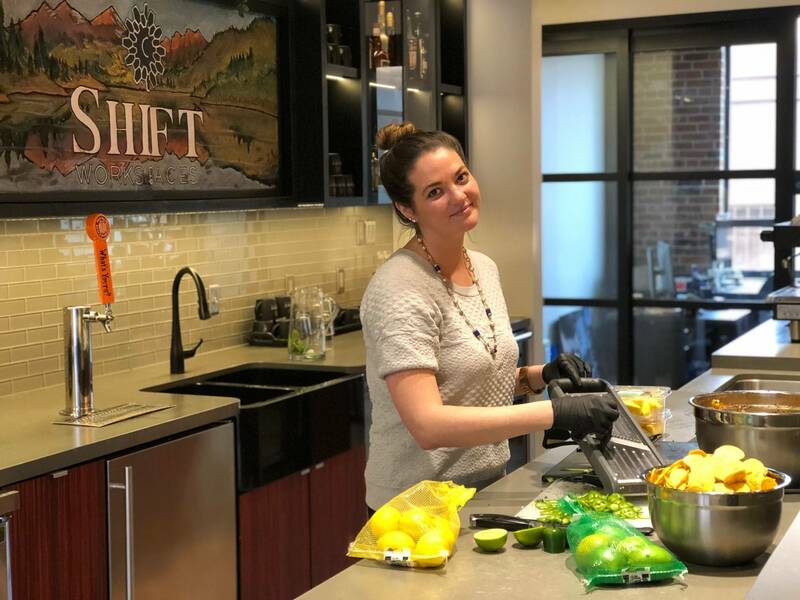 This month, we sat down with our culinary concierge, Crystal Harris, to learn about her approach to hospitality, what inspires her, get educated on the “Shift Experience” and where to find the best dishes in Denver. What sparked your interest in coming to work for Shift Workspaces? 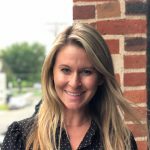 I became interested in working for Shift Workspaces after learning about their holistic approach to workplace well-being through design and service. With a formal background in luxury hospitality management, I was excited to apply my experience to a fresh, innovative work environment. What makes you an expert in the field of hospitality? I have a degree from the University of Central Florida in Hospitality Management coupled with 18 years in luxury hospitality experience. From restaurants, to 5 Diamond Hotels, to high end country clubs, this industry has always been my passion. Prior to working for Shift Workspaces, I worked as an in-home private chef. The creative freedoms allowed outside of the traditional restaurant setting is what I enjoy most about being a chef. What is the “Shift Experience”? It’s difficult to put into words but it’s only something you will only find at Shift Workspaces. My approach to the “Shift Experience” is providing a warm and engaging personality with detailed conversations about ingredients and preparation techniques of our daily delightful treats. It’s also culinary inspired weekly happy hours and social events coupled with spontaneous ‘in office’ surprises from coffees and cocktails to flowers and cards. What would you say is the biggest influence that drives your passion for food & hospitality? I have always admired my mother and her ability to entertain with poise and grace; qualities that I’ve tried to emulate throughout my life and career. Who made the biggest impact in your culinary career? The bulk of my technical experience was under Chef Dana Rothschild from Chicago. She has impeccable standards and does not compromise when it comes to quality of ingredients, flavor, and safety. Working for her was and continues to be the greatest impact of my culinary career. What is your favorite dish to prepare at home? I love my cast iron grill pan, so I love to sear a New York Strip and top it with aged Stilton (bleu cheese). Fun Fact- for a medium rare cook temp, follow the 5,4,3 rule. Five minutes on one side, 4 minutes on the flip side, rest for three minutes. Most people don’t realize how important it is to “rest” your meat before and after grilling to achieve the best results. When visiting Denver, what restaurants do you recommend? What are a few small tricks or tips you have to elevate an event or simple dinner party? It’s cliché to say, but people eat with their eyes (first). Adding a sprinkle of fresh herbs (mint, parsley, cilantro, etc.) can instantly elevate any dish. Also, consider adding fun garnishes; edible flowers, twist of lemon peel, even fresh ground pepper can add a contrast of color. Fresh flowers and candles on the table will always instantly elevate any event. Hand lettered place cards, and/or food labels add a nice touch. Print your menu items/names on thick card-stock, cut, and fold in half to create a simple table tent for either purpose equals instant party success! What is the best meal you’ve had this year? Chef David Chang’s Momofuko in Las Vegas. Everything we ate was innovative and exceptionally delicious!